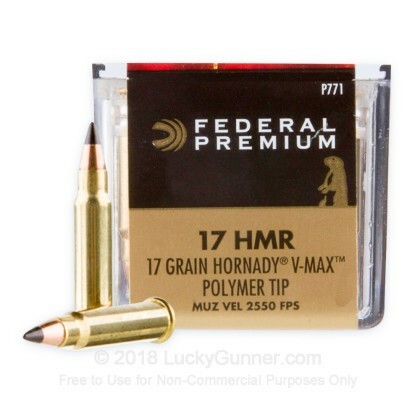 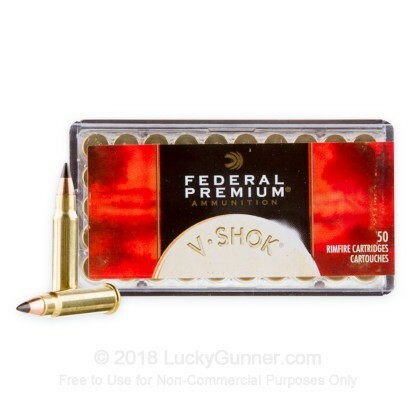 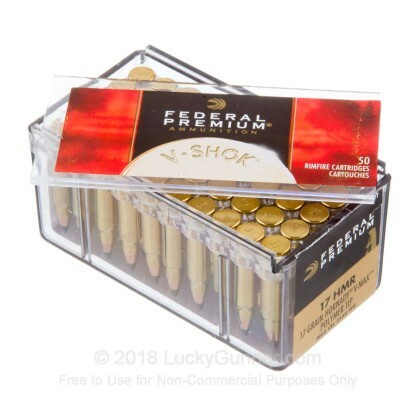 These high quality 17 HMR rounds are topped with Hornady V-Max Polymer Tip bullets that provide tight groups and rapid expansion. 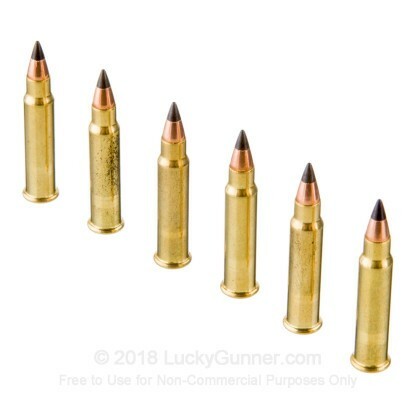 The polymer tipped round cuts through the air before expanding rapidly on impact, for devastating terminal performance! 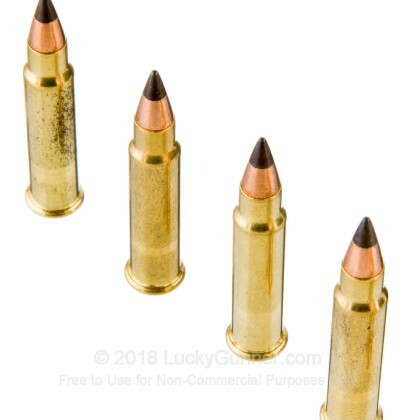 I have never seen such a small bullet do so much damage. 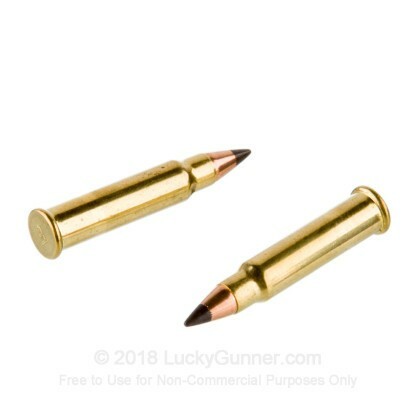 Shoots Great in my Savage HMR 17.